BricsCAD is a software application for computer-aided design (CAD), developed by Bricsys nv. 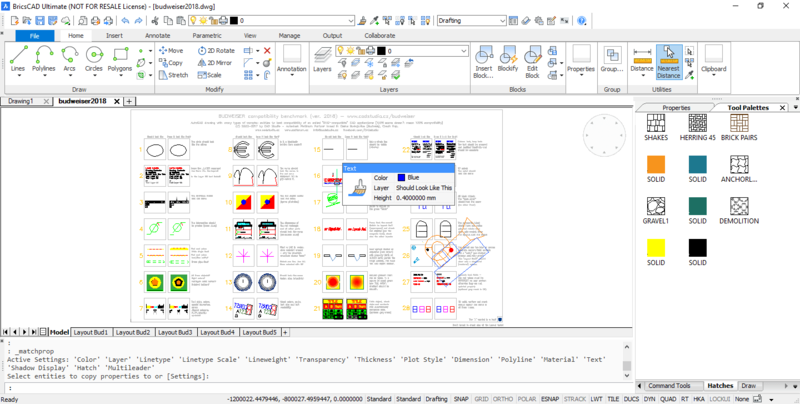 The BricsCAD software, available for the Windows, Linux and macOS operating systems, is available in several editions. BricsCAD is in many ways similar to AutoCAD. The DWG file format is used just as in AutoCAD. JTB World offer apps and programming services for BricsCAD. 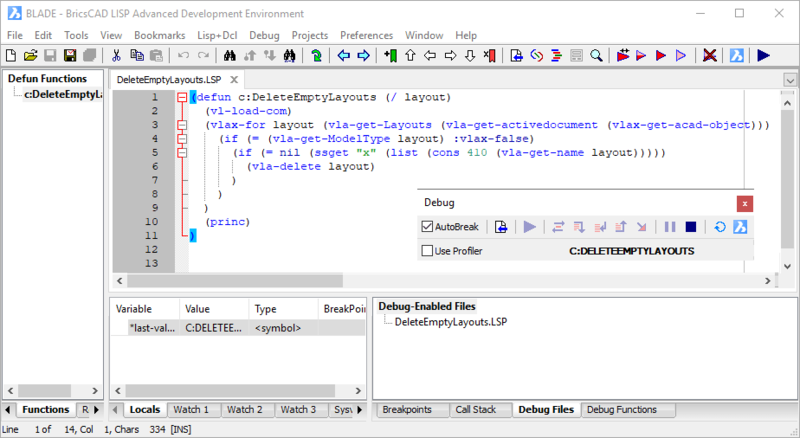 BricsCAD implements many AutoCAD Application Programming Interfaces (APIs). In general, BricsCAD provides a nearly identical subset of AutoCAD-equivalent function names. In the case of non-compiled AutoCAD applications (e.g. VBA, LISP, Diesel and DCL), these programs can be loaded and executed directly in BricsCAD. Specifically regarding LISP routines, BricsCAD supports AutoCAD Vl, Vlr, Vla and Vlax functions. Bricsys also supports developers who wish to use LISP encryption, but BricsCAD cannot read AutoCAD FAS or VLX (compiled LISP) files. Most compiled application programs developed for AutoCAD's Advanced Runtime eXtension (ObjectARX) facility require only a recompilation with the BricsCAD Runtime eXtension (BRX) libraries. BRX is source code-compatible with AutoCAD's ARX, with a few exceptions. BricsCAD LISP Advanced Development Environment aka BLADE is so much better than AutoCAD's VLIDE. Some history: The company was founded in 2002 by Erik de Keyser. In 2011 Bricsys acquired the intellectual property rights from Ledas for constraints-based parametric design tools, permitting the development of applications in the areas of direct modeling and assembly design. Bricsys is headquartered in Ghent, Belgium. Bricsys is a founding member of the Open Design Alliance, and joined the BuildingSMART International consortium in December of 2016. In 2018, Bricsys nv was acquired in full by Hexagon AB of Sweden.